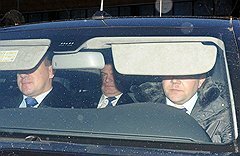 On Friday, the Investigative Committee of Russia (SKR) subjected Anatoliy Serdyukov to a couple hours of questioning about the Oboronservis corruption scandal. This session was scheduled when the former defense minister refused to answer questions on December 28 because his attorney was ill and not present. Nothing much changed this time. Media accounts claim Serdyukov again effectively refused to answer SKR questions, taking the Russian version of the 5th (the 51st Article of the RF Constitution against self-incrimination). He presented some written material to investigators describing the process of selling excess Defense Ministry property during his tenure. But, according to Vedomosti, Serdyukov denied any wrongdoing, and placed blame for the sale of significantly undervalued and underpriced military real estate squarely and completely on his former subordinates (currently under indictment). A Kommersant source in the SKR admitted problems connecting Serdyukov to property sales or kickbacks. 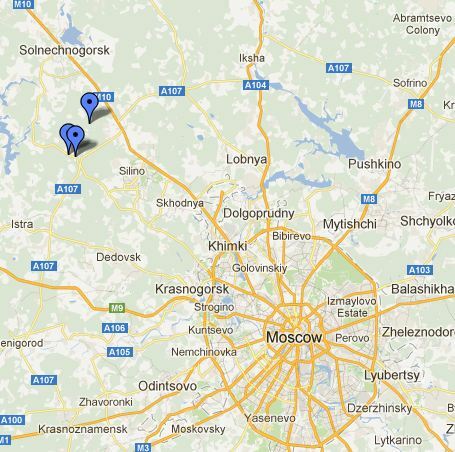 However, he said investigators are looking at why Defense Ministry personnel and equipment built an 8-kilometer, 20-million-ruble road for a VIP resort in Astrakhan Oblast partly owned by the ex-defense minister’s brother-in-law, Valeriy Puzikov. They’re also looking into high-priced Black Sea vacation homes built by Puzikov on Defense Ministry land. The SKR is apparently warming up charges against Serdyukov for exceeding and misusing his official authority. Investigators are clearly turning up the heat on Anatoliy Eduardovich. So will Putin see any reason to save Serdyukov, or will Putin leave him to the wolves? Or can Putin control the wolves at this point? Can He Possibly Avoid Prosecution? It seems likely President Vladimir Putin, at some point, will turn Anatoliy Serdyukov over to the law, such as it is in Russia. Despite assertions to the contrary, Putin will bow to evidence his former defense minister knew about, condoned, or even participated in corruption schemes. Putin stands to look like a corruption fighter, perhaps for the first time. Most of that corruption occurred on his protege-predecessor’s watch. Serdyukov’s lost his tie to Putin’s closest associates through his estranged father-in-law Viktor Zubkov, so it’s free fire. Putin can even save money by not pouring all 19 trillion rubles into new arms procurement by 2020 while investigators and prosecutors take at least 2-3 years unraveling the mess. Few will recall Putin appointed Serdyukov to straighten out the Defense Ministry’s financial flows. That didn’t work out too well. Not many will remember Serdyukov was brought in because of the meager results of Putin’s stewardship of defense between 2000 and 2007. Essentially, 12 years of Putin’s control and direction of the armed forces (de jure, de facto, or both) have come to little. None of this will loom large politically for Putin. On balance, it’s an easy decision to turn Anatoliy Eduardovich over to his fate. Compared with nine months ago, clouds completely surround Serdyukov now. Izvestiya wrote about his sister’s wealth right after the scandal broke. A FGUP her husband ran won a lucrative one-bidder Defense Ministry vehicle leasing contract in 2010. It’s not clear he was in charge of the firm when it got the deal. But there can’t be any doubt the family connection was the reason for getting it. The story appeared here, but the role of Serdyukov’s brother-in-law was unknown at the time. This week the media reported Oboronservis affiliates responsible for paying energy suppliers for heating military installations are suddenly 4 billion rubles in the red. 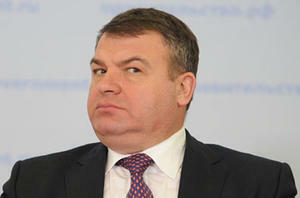 The Investigative Committee (SK) searched Serdyukov’s cottage, along with those of other defense officials. One-time Serdyukov deputy, apparent girlfriend, and central scandal figure, Yevgeniya Vasilyeva was denied bail and is under home detention. Law enforcement sources are talking anonymously about much higher-profile and wider investigations. There’s nibbling at other edges. The SK is looking into alleged GOZ misappropriations. 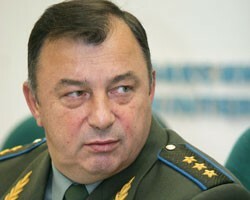 The Main Military Prosecutor is reviewing old accusations about the poor design and quality of the army’s new uniforms. Can Serdyukov avoid prosecutorial sharks with this much blood in the water? Probably not. Is he responsible for all Defense Ministry corruption? Yes, by virtue of his former position. Could he become a sympathetic figure if he goes to prison? Maybe. Serdyukov might be seen as someone unwilling or unable to fix a broken system. Perhaps guilty, but no more than Putin . . . a scapegoat or symbol of Russian problems larger than one man or one department of government.